Some progress was made, but there’s “still a long way to go.” That’s how one U.S. negotiator summed up the latest round of talks with Iran. The U.S. and its partners — Britain, France, Germany, Russia and China — are seeking proscribed limits on a possible nuclear weapons development program. 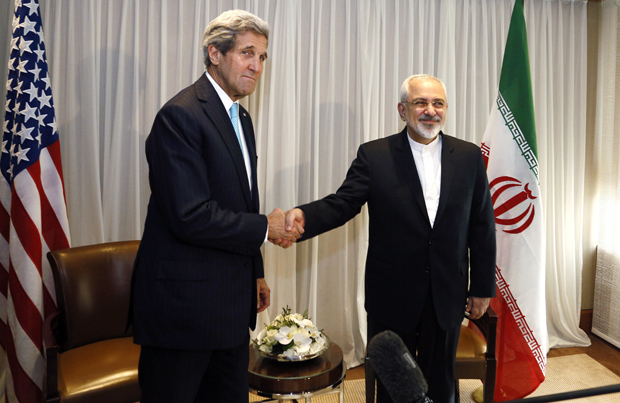 In exchange, Iran is bargaining for relief from economic sanctions currently crippling its economy. Israel’s President Benjamin Netanyahu remains an outspoken critic of the talks. He’ll likely detail these concerns in an address to Congress next week, a visit the White House does not endorse. Please join us for an update on talks with Iran. Aaron David Miller Vice president and distinguished scholar at the Woodrow Wilson International Center, and former U.S. Middle East adviser in Republican and Democratic administrations. Robin Wright Analyst and joint fellow, U.S. Institute of Peace and Woodrow Wilson International Center; author of "Rock the Casbah: Rage and Rebellion Across the Islamic World"; contributing writer to The New Yorker.